Man men love to wear jewelry and when your man has a well-built, attractive jewelry box from Chasing Treasures, he needs to have great pieces to fill it. Men do not have as many options for jewelry as women do, but there are still enough options to add great accessories to his collection. Once you have invested in a high quality jewelry box, it is appropriate to fill it with jewelry made with equally high quality. Many men appreciate a good set of cuff links and today’s cuff links come in a variety of different styles, designs, and prices. Men’s shirts come without buttons at the cuffs so that men can add their own personality and style to their appearance. If you man is quite conservative, then the cuff links should be, too. However, some men like to wear cuff links that are a bit edgy. So, if your man works in an environment where he can show some personality with his clothes, buy him cuff links with skulls, college mascots, bold bling, or other objects d’art. Some men have at least one pierced ear. If you have a man with a pierced ear or two, you can always buy handsome earrings for him. It is best to purchase conservative, masculine earrings like subtle gems or platinum or gold studs or small hoops. However, if your man is working through gauges, you can always buy him more hoops or spikes to fill the growing spaces. Chains are other good choices for filling your man’s Chasing Treasure jewelry kits. Whether the chains you purchase go around the neck or the wrist, you should only buy genuine precious metals. The size and length of the chain will be based on your man’s personality. Some men prefer a boxy, square chain and others prefer something more subtle. If you are looking for a strong metal, buy the chain in platinum or stainless steel in a brushed or matte finish. If your man likes a bit more flash, gold is always a good choice. Bracelets for men should always be large and masculine. Again, the metal will need to fit his style, which matte finishes looking less flashy than shiny gold. Some men also like to have some kind of pendant hanging from their chains. These pendants might be something like a shark tooth or a number from an athletic team or possibly even a more artistic and abstract piece of metal. These often can be put on and taken off of a favorite chain. Men enjoy wearing rings. There are, of course, some men who only wear their wedding rings, but there are just as many who enjoy wearing a class ring from college or high school and there are other men who enjoy wearing fashion rings with stones like tiger eyes or small coins. Attractive rings look quite powerful on men. Finally, men also need to have a place to store their watches. For men, watches have been status symbols for many years and they continue to be, so having a nice place to store a fine, high-quality timepiece is important. 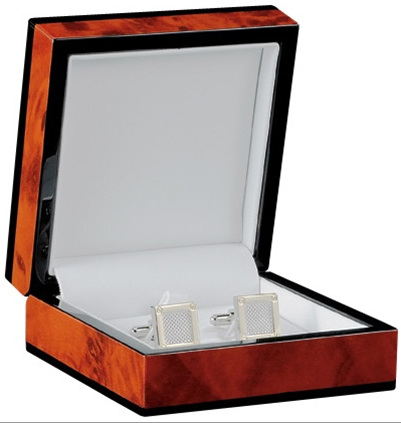 Our watch cases makes safe places to store expensive pieces of jewelry like a fine, designer watch.